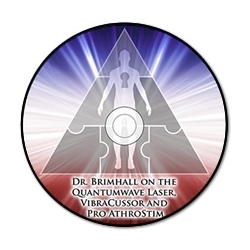 Dr. Brimhall continues to research and develop techniques and treatments for doctors to help integrate into their practice and help patients receive better results. One of these new treatments is Advanced Blended Laser Light Therapy with the Scalar Wave Laser. Dr. Brimhall also reviews the use of the Vibracussor and the Pro Athrostim.